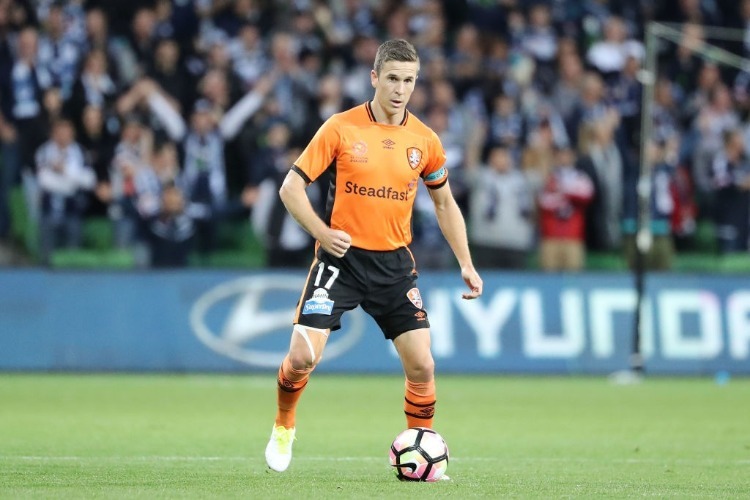 The 2018-19 A-League season has been one to forget for Brisbane, but Roar captain Matt McKay hopes a win over Sydney is the start of a big finish. Last week, Brisbane had simply forgotten how to win football matches. That was the summation of Roar skipper Matt McKay after his team threw away a three-goal lead to slump to a 4-3 defeat to Adelaide United at Coopers Stadium. A week later, that winning formula was rediscovered when a Roar outfit shorn of several players through injury and suspension claimed their first victory in 13 games in the most dramatic style. Second-half goals to Tobias Mikkelsen and Dylan Wenzel-Halls lifted Brisbane to just their second win of a dismal campaign with a 2-1 victory over Sydney FC. It was a result that left McKay bursting with pride - a stark contrast to his emotions following the Adelaide game. "We know how to win this week. It's a crazy game isn't it?," McKay said. "After what happened last week, in previous parts of the season we've had a loss like that and we've capitulated next week. "I'm still angry about last week. We should've won last week. I can't fathom it (but) it's great resilience, a good character, and I'm proud. I thought every player stood up." With goalkeeper Jamie Young and defenders Dane Ingham and Daniel Bowles all suspended for the Sydney clash, McKay and 16-year-old debutant Izaack Powell were forced to form a makeshift left-sided defensive pairing after Luke DeVere and Jack Hingert both succumbed to first-half knee injuries. It was the first time in his career 36-year-old McKay has played in the centre of defence while Powell - who turns 17 on Tuesday - has eclipsed former Socceroo Tommy Oar as the youngest player to appear for the Roar in the A-League. McKay says the spirit shown by all in an orange shirt against Sydney, sets a standard for the Roar to play to for the remainder of the season. "It pains me what our results have been this season," McKay said. "I want to get some wins. "We're now two-thirds of the way through the season, nine games to go, different opponent each week for these nine games. "We can go on and really cause some trouble for teams."